" What If The Tea Party Was BLACK " ! 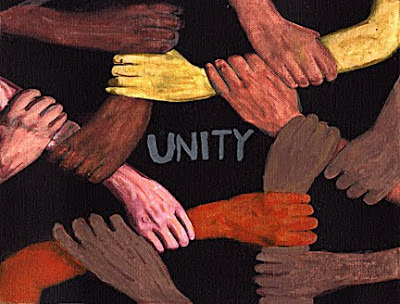 A few months ago, Tim Wise wrote a widely circulated article called, "Imagine if the Tea Party Was Black " which challenged America to take a close look at the hypocrisy of the Right Wing. Now, a Pittsburgh rapper is accepting his challenge in true Hip Hop form. 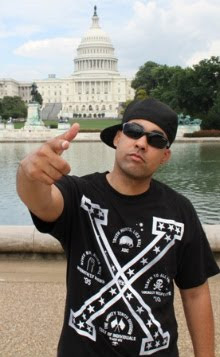 Jasiri X has released a video called "What if the Tea Party was Black." The Hip Hop artist says that he got the idea when Paradise,a member of the pro-black rap group X-Clan, forwarded him a copy of Wise's article. "I saw the article and I liked the concept," says the rapper. So Jasiri hit the studio with producer Cynik Lethal while Paradise grabbed his video camera and they went on their mission to defeat the Right Wing propaganda machine. I luv seeing our young Brothers and Sisters getting involved and spreading knowledge. Great job Jasiri X ! and THAT'S what they are most afraid of.